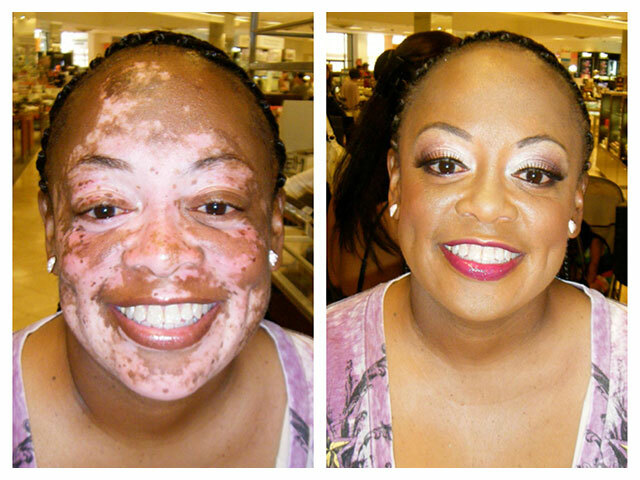 Skin conditions can make finding the right makeup a challenge. We can help you achieve your makeup dreams! Diminishing the appearance of acne, scars, hyper pigmentation, loss of lashes/brows, vitiligo, and other skin issues are one of our specialities. We can help you look and feel your best for any of life's special occasions. 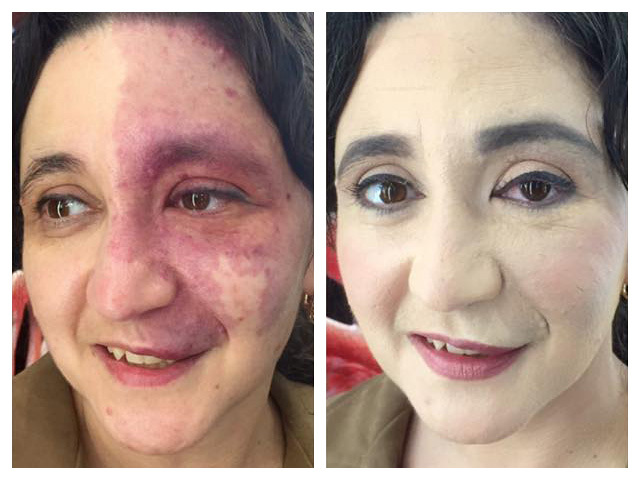 Color correction for vitiligo. 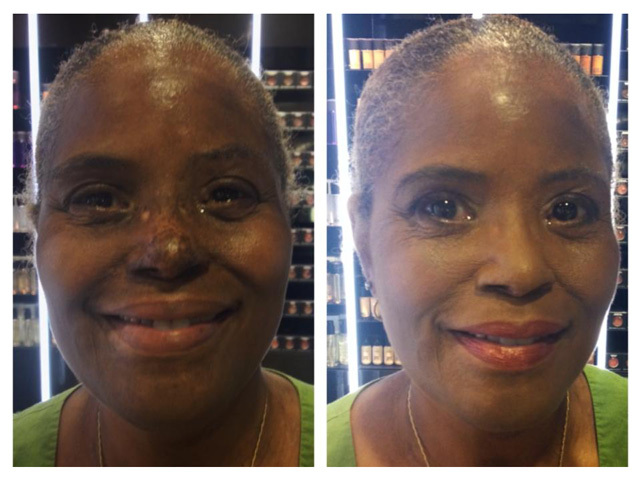 Hyper pigmentation of the skin can be evened out using color corrective techniques and products. Even out the texture and tone of birth marks or port wine stains with a hydrating moisturizing treatment and color corrective makeup application. Hyper pigmentation is evened out with color corrective makeup and hydrating eye treatments diminish the puffiness in the eye area to create a soft natural look.